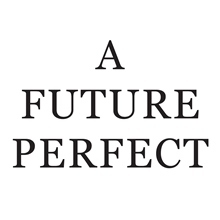 A Future Perfect A Future Perfect is an Athens-based concept-brand, in the fields of industrial, fashion and spatial design, with a strong architectural background. AbelDesign AbelDesign is a Korean-based brand that aspires to create design objects of unique quality which will bring pleasure to people’s lives. B-MADE B-MADE is Bernadette van de Braak’s personal design brand with designs inspired & manufactured from local women community of Katmantu in Nepal. 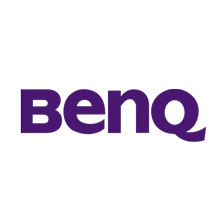 BenQ BenQ offers products that have great impact at the quality of life, including high quality Projectors, LCD Monitors, LCD TVs, LED Lights and more. Black+Blum Black+Blum is an Anglo-Swiss design partnership based in London. They are known for creating iconic functional products that charm and entertain. Blomus Blomus is a German producer of interior design products that stands out for their tradition of exceptional quality and highly skilled craftsmanship. Blunt Blunt Umbrellas uses superior engineering to create one of the best rain umbrellas ever made, able to withstand storms and winds of up to 120km/h! CEA Design CEA Design is an Italian brand that initiated its activity in the field of high-quality design, bathroom taps and fittings in 2007. Chroma Chroma Cutlery produces fine kitchen knives. Many famous chefs use Chroma Knives in their kitchens. Perfect for the hobbyist or the professional chef. 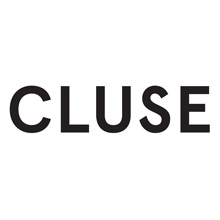 Cluse Cluse is an Amsterdam based atelier specialized in the creation of high quality, minimal and extraordinary beautiful watches. Cote&Ciel Côte&Ciel is a Parisian brand that creates gorgeous bags, backpacks for men and women. Their bags are unique with emphasis on innovative design. Cutipol Portuguese brand CUTIPOL are market in leaders in luxury cutlery. Cutipol cutlery are a fine blend of modern design and traditional craftsmanship. Design House Stockholm Design House Stockholm was founded by Anders Färdig and started as a creative product development company for other brands in 1992. Domestic Domestic is a brand with the sole purpose of bringing graphics in the house! Known best for their wall stickers. Dreamfarm Dreamfarm is an Australian - based design company. Their motto is: "We are Dreamfarm and we solve problems. It's our purpose". Dyson Dyson Ltd is a British technology company, founded in 1993 by Sir James Dyson, which designs and manufactures unique electric appliances. Edge of Belgravia Edge of Belgravia is one of the most inspiring brands in knife design. The futuristic design of their knives has been awarded with numerous awards. Elica Since the 1970s, Elica has stood for efficiency, innovation and design of unique and modern cooking hoods. ENO ENO (Editor of New Objects) STUDIO is a new-coming French editor of objects signed by the most gifted current designers. Escama Studio Escama Studio is a social enterprise based in California and Brazil known for its inventive fashion accessories and for promoting responsible trade. Final Touch The American brand Final Touch provides high quality sophisticated chef’s tools, glasses and carafes, as well as bar and wine accessories. HeadSprung HeadSprung is a London-based company founded by Hemal Patel and is specialized in contemporary design homewares, furniture and lighting. Hübsch Hübsch is a Danish company in the home interior business that offers high quality items with innovative design and unique style. Hulger Hulger is well known for developing (together with designer Samuel Wilkinson) the first designer low energy bulb, the stunning Plumen 001 bulb. ilsangisang design studio ilsangisang design studio was founded by Designer Jong-su Kim, its mission is to “make your home like a dream” through smart and innovative products. Impliva Impliva is a Dutch company specialized in umbrella manufacturing. Impliva Umbrellas stand out for their innovative design and superb quality. Infiniti Infiniti is a revolutionary Italian brand which launched in 2008 and provides home furniture designed for maximum comfort and modern look. 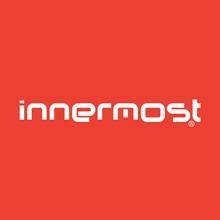 Innermost Founded in 1999 by Steve Jones and Russell Cameron, Innermost offers a diverse collection of lighting and furniture. International Studio International Studio is an award winning industrial design studio based in London, UK, founded in 2011 by designers Robin Grasby & Marc Bell. Joseph Joseph Joseph Joseph is an English houseware brand known for its innovative design-led products. Shop a wide range of Joseph Joseph products at DesignIsThis. JSPR JSPR is a young Dutch furniture and interior design brand consisted of Jasper van Grootel and Philip Bogaerts. Karboxx Technology and elegance are the standout features of Italian Karboxx design that specializes in lighting. 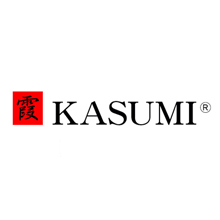 Kasumi Kasumi precision Japanese knives are produced in Seki, Japan from the most advanced materials with the most advanced manufacturing techniques. Kibardindesign Vadim Kibardin is a Prague based product award - winning designer raised and taught in Russia (Ural State Architectural Academy). KLOX KLOX wall clocks come in a variety of incredible colours and can be easily fixed on the wall! Greek brand KLOX creates designer clocks for unique individuals. Kyouei Design Kyouei design is a Japanese design and manufacturing company of lighting and products, established in 2006. 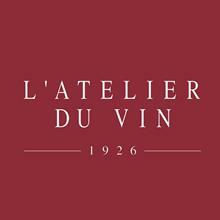 L' Atelier du Vin L’ Atelier du Vin the leading French maker of inventive wine accessories for wine opening, tasting, serving, storing and preserving. Discover their range. LEXON Founded in Paris by Rene Adda, LEXON reflects a commitment to the highest level of functional design, represented in a collection of unique products. LIGHTAIR LIGHTAIR does not only develop air purifiers for people that desire clean and healthy air, but also for design lovers. LSA LSA International is a London based company that is renowned for their expertly crafted drinkware, tableware and accessories since the 1960s. Lufdesign Lufdesign is a Korean-based brand always trying to combine the fun and playful aspect of modern design with functionality for its products. Menu Menu holds this name since 1998, but promotes Scandinavian design since 1979. Scandinavian Design Originals: three words that underline the brand’s name. miniforms Miniforms is a famous Italian furniture manufacturer investing in advanced production methods and working with renowned talents of Italian design. Modern Fan Company The Modern Fan Company is the original and premier source for contemporary ceiling fan design, producing the most complete and modern collection of ceiling fans. 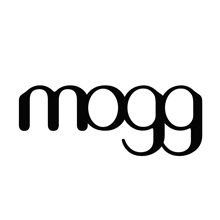 Mogg Mogg Design was founded in 2012 and creates extraordinary, quirky objects & furniture that are always at the crossroad between art and design. Monkey Business Monkey Business has been adding the extra to the ordinary since 1994, creating everyday design products with fresh and innovative design. Moorigin Moorigin jewelry are defined by simple lines, inspired by nature. Modern, minimal and yet stunning, they make a statement with any outfit. Mujjo Mujjo creates minimal and sleek leather cases for Apple devices made with superior craftsmanship and sung top quality materials. Mutewatch Mutewatch co-founders are Mai-Li Hammargren,Oscar Ritzén Praglowski and Gustav Hammargren. MyKronoz Swiss brand MyKronoz designs activity trackers and smartwatches. It is widely known for creating the first hybrid smartwatch with mechanical hands. Nervous System Nervous System is a generative design studio that works at the intersection of science, art, and technology. Normal Timepieces Normal Timepieces are sleek, elegant and minimalist wall clocks and wristwatches by Tokyo based Designer Ross McBride. Discover the Normal collection. Normann Copenhagen Normann Copenhagen is a way of living - a mindset and a design company that loves to challenge the conventional design rules. Osram OSRAM is one of the two leading light manufacturers in the world. Ozaki The Ozaki design brand is well known for their minimal and, yet, playful cases and accessories for smartphones, laptops and tablets. pa design pa design is a French brand that designs and innovative and stylish objects which combine style and practicality. Pablo Designs Pablo Designs is an American company established by designer Pablo Prado. They are known for creating high-tech and unique contemporary lighting. Pana Objects Pana Objects is a brand that specializes in wooden design products. Pana objects aims to bring the charm of woodcraft back to your modern life. Peleg Design Peleg Design was founded by designer Shahar Peleg and is a company which designs innovative, beautiful and elegant design products. PLANK PLANK is an Italian brand with long history in the field of furniture. Awarded products of PLANK can be seen in famous permanent museum collections. PO: Selected Created by Edward de Bono PO: Selected is a relatively new Hong Kong based company with a refreshing collection of contemporary home accessories. 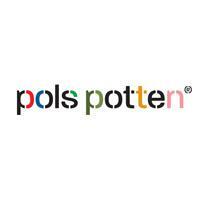 pols potten pols potten is an original and inventive Dutch design label. Their products exemplify the style of Dutch design and their craftmanship is sublime. Presotto Italia Since 1948 Presotto Italia is one of the most prestigious interior furniture manufacturers of Europe. Presse Citron In 1997, Didier Chaudasson founds Presse Citron, a brand “made in France” which combines lacquered steel simplicity with useful quality objects. Pulpo Pulpo is a German design brand which expertize in creating modern living space accessories and furniture designs. QisDesign QisDesign combines innovative LED technology and sophisticated design to achieve perfection to your lighting needs. Qualy Qualy Design offers a wide selection of products, reinventing everyday objects with a mixture of colors and shapes in a playful and dreamy spirit. Robba Edition French brand Robba Edition specializes in manufacturing high quality design items especially mirrors and table trestles. Rothschild & Bickers Rothschild & Bickers is one of a handful of glassblowing studios still active in the UK where glass lighting is handblown. 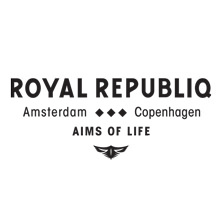 Royal Republiq Since 2006 Royal Republiq creates high-quality and sophisticated leather products, such as day and evening bags, clutches, backpacks and briefcases. 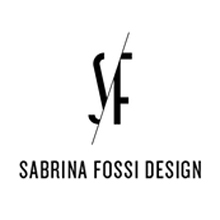 Sabrina Fossi Design Sabrina Fossi has been working fulltime at the service of Sabrina Fossi Design Brand, putting her love of clear minimal forms in each product. Sander Mulder Sander Mulder is an inventive Dutch designer. His work is a combination of strong lines, subtle details, innovative techniques and bold statements. Santa & Cole Santa & Cole is a Spanish design brand which promotes the best expression of the talent of contemporary Spanish and Spanish American designers. Seletti Seletti is a story of vision and evolution. Established in 1964 in Italy Seletti contentiously improves it products by means of efficient design. Senz° Inspired by the well-known umbrella struggles throughout human history the Senz° team developed the umbrella of the future. Serax Serax is a glass manufacturer with a large collection of decorative items, funded in 1987 in Belgium, by two brothers, Axel and Serge Van den Bossche. Shibui Shibui is a designer company based in Switzerland, created by award-winning Greek designers Constantinos Hoursoglou and Athanasios Babalis. Slice Slice collaborates with innovative designers to create award-winning cutting tools that will help us slice with style. 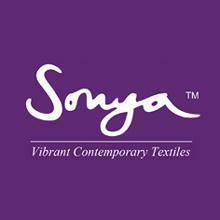 Sonya Winner Studio Sonya Winner Studio is based in London and creates innovative and playful rug designs which can be used as area rugs or wall hangings. Spell Spell is a Dutch furniture design label founded in 2007. Spell is a synonym for influence and attraction, their brand defining products are Tech FURNITURE. SwitchEasy SwitchEasy was first conceived in January 2005 to create the best accessories for computer products. TableAir TableAir is designed by a team of experienced professionals in hardware, manufacturing and design fields. Tafaruci Design Tafaruci Design produces a very limited selection of exquisite furniture, tailored to perfection, with the highest craftsmanship, to last for a lifetime. tale tale is a Korean design brand mainly known for the high aesthetic design of the famous Matterhorn Mountain whiskey glasses. Team by Wellis Team by Wellis is a Swiss brand that has 80 years of experience in creating high quality modern furniture with timeless appeal. Teroforma Teroforma is an American design brand founded by Anna and Andrew Hellman. Their brand name products are Whisky Stones. The Fundamental Group The Fundamental Group is a design and architecture firm. They develop living & working space concepts and they propose a holistic lifestyle image. The Joy Factory The Joy Factory is an American brand that offers lifestyle-driven digital companion accessories. 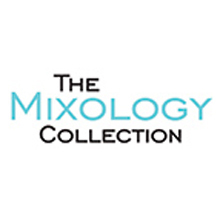 The Mixology Collection The American brand Mixology Collection provides a broad range of sophisticated and stylish bar and wine accessories. Thelermont Hupton Based in the UK, Thelermont Hupton is the collaboration of Yve Thelermont and David Hupton. TOAST Living TOAST Living is a designer homeware facility funded in 2007 that is based in Taiwan. Tonelli Design The Leading Italian manufacturer of Glass Furniture designed by the most important international designers. Discover the Tonelli Design collection. Trendform Trendform is a Swiss company with a passion in designing beautiful and strong magnets. The brand is trying to bring color in our everyday lives. Umbra Discover products by UMBRA, a world famous company focused on reinventing everyday objects. Shop home decor & accessories with original design. Umbra Shift Umbra Shift is a collaboration of Umbra with a roster of established and emerging designers that consists innovative designer products. Walker Chao Patricia Walker Chao’s minimal jewelry pieces are incredibly delicate, have simple shapes, usually geometric, and are all made of silicon. XD Design XD Design is an innovative design house based in Holland. XD Designs offers a variety of home and living products with unique look and functions. YFOS YFOS was founded in 1977 and has evolved in a modern and flexible based in Greece unit which produces a wide range of products.